RNR Services offer a soap dispenser any style of washroom. RNR Services soap dispenser service for washrooms is a classically designed liquid soap dispenser suitable for all hand washing environments. 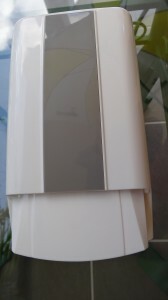 This soap dispenser is available for direct fill and is built for service. Robust and reliable, it has strong service and hygiene features. The main benefits are, reliability, durability, ease of service, maximum hygiene to end user, the ‘Pump Assembly’, offers a push action.